JFK Airport Guide, about 15 miles and 45-60 minutes from Manhattan, is a huge international airport. 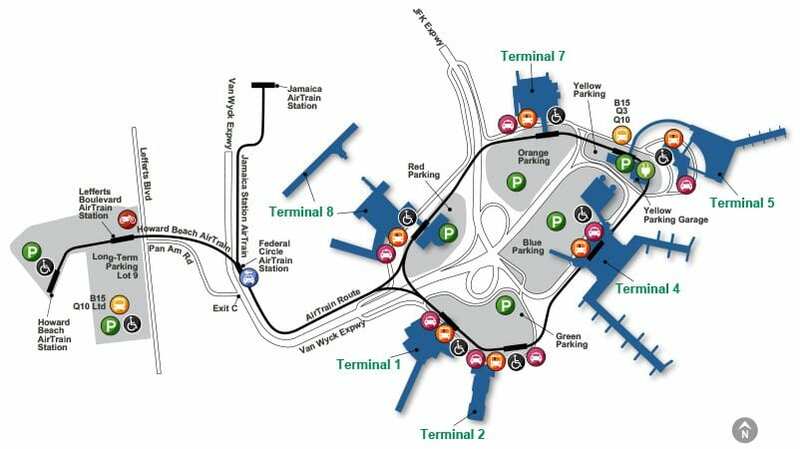 JFK serves over 70 airlines and hubs, including American and Delta. Read our insider guide to the best hotels near JFK Airport, Free Shuttles, Stay & Fly Free Parking, Taxis, Limos, Shuttles, parking, Cheap Flights and more at JFK Airport Guide.